This work presents a simulation of sport action over a physical and mathematical point of view. From this lab students can not only learn about physical phenomena but also how to see the practical side of the theory. 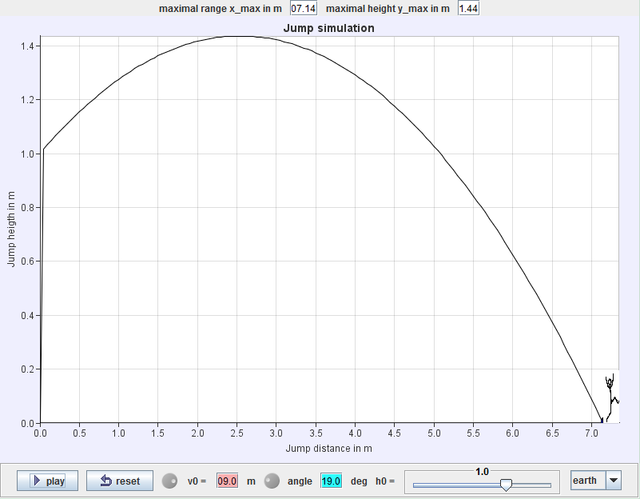 The simulation presents the graph of the jump under conditions that can be changed by the students: angle, velocity and also the environment on which the jump will be. The primary aims of the lab are: Students can learn the effects of gravity.